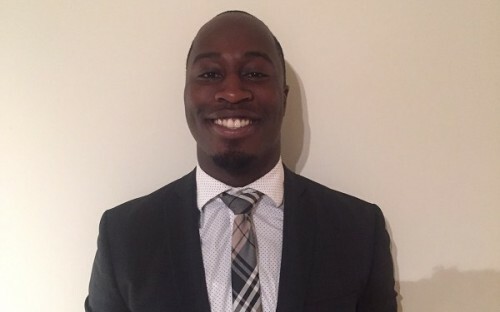 Agyeman Bonsu has a "burning desire" to be a decision maker in business and sees an MBA from Columbia, NYU, UCLA, USC or Harvard as a great way to get there. Currently studying for his Master in Public Policy and working as a consultant for Booz & Company, he is already preparing for his GMAT in order to be admitted in a business school which focuses on media and entertaiment. The biggest challenge for him is finding the time to squeeze all this work in to 24 hours. Currently I am finishing up my Masters in Public Policy and as the program is coming to a close in December I have been narrowing down what I want do next. I am presently working for a management-consulting firm in the finance division and have become increasingly interested in all the features that comprise a business process. Going into my Masters program I had a clear vision of what I wanted to do, however my last semester I took an economics course which dramatically changed how I looked at business, specifically why consumers choose certain products in a world where there is literally a litany of the same or similar type of products available. What I am looking to gain from an MBA is better understanding of how textbook lessons are actually applied in the world. Taking proven business methods, utilizing them as a basis for answering prevalent business problems is the ultimate goal. Moreover, I have a burning desire to eventually be a decision maker and I believe having an MBA will supplement what I have and will continue to learn in the business world. How do you think obtaining an MBA would impact your career in your industry? I think an MBA will serve to supplement what I have already garnered in my current position. Moreover, I believe that the interaction with classmates and teachers will help me cultivate and solidify ideas about persistent business problems. The discussions and coursework are invaluable in that I believe that the basics should always be learned and ingrained in any prospective field in order fully reach viable solutions. I believe an MBA at a top school will help me ultimately switch into the entertainment and media business where my passion for business and this industry intersect. The opportunity to learn from the best that have flourished in this specific industry will be instrumental in my future plans and ultimate career. Which schools are you planning to apply to? What are the most important factors to you when choosing a business school? At this juncture I am planning to apply to schools that are centered in the media and entertainment industry. Thus my top choices are in no particular order: Columbia, NYU, UCLA, USC and Harvard. I added in Harvard, as it is a top business school, irrespective of the fact that is not located in a traditional media and entertainment city. I have not gotten too far in the application process as I have just recently started prepping for the GMAT. I perceive the biggest challenge that I will run into will be studying for the GMAT while finishing up classes and work. However, with proper time management I should be able balance and complete the application process in time for merit based funding. I have gotten GMAT prep books and guides in order to help me study for the exam. Also, I have set aside time to take the full test in test conditions multiple times prior to the actual exam. In addition I have just been keeping my mind sharp by reading voraciously. How do you plan to fund your MBA? At this stage I plan on funding my MBA through loans and whatever scholarships and grants I can rack up. My ultimate goals are to work in the strategic financing division of a media company doing debt modeling or forecasting future profits. I believe the opportunity to work in the media and entertainment industry and ultimately be or help decision makers make quality choices would be a dream job as it combines two of my passions.